In the 1920s, an advertising man named Walter Jordan had an idea of creating a correspondence course on magic for the general public. He spoke with a friend who ran a correspondence school on Applied Science. The two agreed that a magic course would be a good idea and began to try and find someone to help them put together the course. The first person they approached was a Chicago magician named Jim Sherman. Mr. Sherman drew up an outline of the course but wanted too much money for the finished project. Cooke and Jordan moved on to find a new person to help them and they came upon magician Walter Baker. Mr. Baker put together a few tricks for the proposed course but they weren't up to the standards that Jordan was looking for so they passed on Baker. However, Baker did give them the name of an illustrator if they were interested. The third person approached was Harry Houdini. The year was 1926 and we know how busy Houdini was in that year. He liked the idea of a course in magic, but writing it himself would be out of the question. 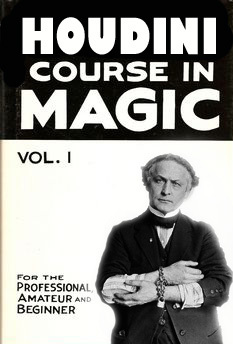 Houdini's idea was to get Harlan Tarbell to write and illustrate the course. This might have worked out but Jordan and Cooke had already heard about Tarbell from Walter Baker. So they decided to drop Houdini from the picture and just go with Harlan Tarbell for the entire project! The rest as they say is history. But for a brief moment in time it was almost the Houdini Course in Magic rather than Tarbell. 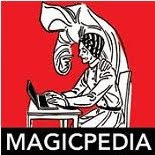 The 8 volumes of the printed version of the Tarbell Course in Magic still make up one of the finest resources for magic effects ever produced! Very interesting. I actually included this info about HH almost doing the Tarbell books in my MCW lecture. However, Max Maven told me it wasn't true. 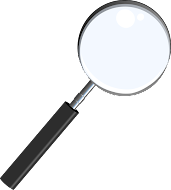 The information comes directly from Tarbell 7 page xi, from the 'Salute to Harlan Tarbell-The Story of the Tarbell Course in Magic'. I would be curious to know where Max's information comes from. He may know something that wasn't known when the book was published. Max said "talk to me after", but I forgot. I would also like to know what info he had. I was very excited when I first learned this, but I cut it from a article I just wrote for Magicol because, you know, it's Max Maven! Next time I see him I'll ask about it. It does make my mouth water to think of a full set of "Houdini Course in Magic" books.